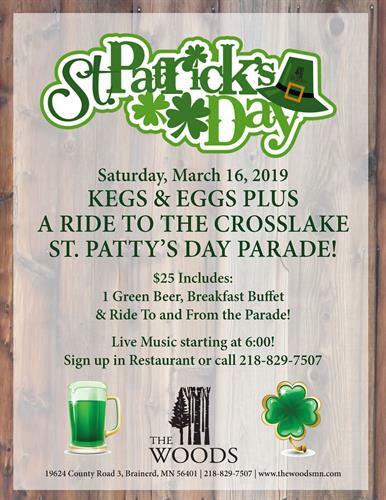 Kegs & Eggs plus a ride to the Crosslake St. Patrick's Day Parade! 1 Green Beer, Breakfast Buffet and a ride to and from the Crosslake St. Patrick's Day Parade! Live music starting at 6:00am in the restaurant! Sign up in the restaurant or call 218-829-7507!